A romantic two tiered stacked rich chocolate wedding cake coated in white chocolate ganache blushed with pink. 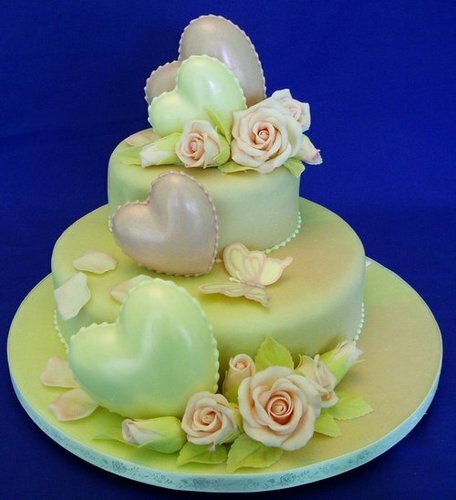 Shimmering pink and white chocolate hearts are complemented by delicate chocolate roses. A beautiful butterfly adds the finishing touch.